Foreign Policy Diary: News, politics and analysis for those who like to think outside the box. The Saudi-led coalition has targeted the Sanaa residence of Yemeni President Abd Rabbuh Mansur Hadi with airstrikes. Earlier, coalition airstrikes hit the Sanaa International Airport. According to military data, Operation Decisive Storm conducted by the international coalition in Yemen has so far destroyed 1,200 civilian structures including 72 educational institutions as it targets Houthi rebel positions across the country. In turn, Yemen’s military units siding with the Houthi rebels seized the city of Ataq, the capital of the Shabwah Governorate. The Houthis and their military allies ousted supporters of President Abd Rabbuh Mansur Hadi from the southeastern oil-rich province. In recent months Yemen has descended into conflicts between several different groups. 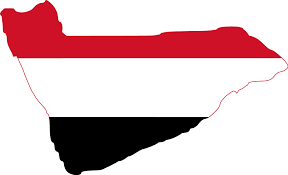 The main fight is between forces loyal to the beleaguered President, Abdrabbuh Mansour Hadi, and those allied to Zaidi Shia rebels known as Houthis. Yemen’s security forces have split loyalties, with some units backing Mr Hadi, and others the Houthis. Both Hadi and the Houthis are opposed by al-Qaeda and Islamic State terrorist groups. On March 26, a coalition headed by Saudi Arabia with logistical and intelligence assistance from the US launched a military operation against Houthi rebel positions in Yemen. According to the UN, the conflict in Yemen has claimed the lives of 364 civilians, including at least 84 children and 25 women since of beginning of the Saudi-led operation there. More than 681 civilians have been injured since March 26. Additionally, the military actions in Yemen have led to the evacuation of foreign citizens. The US evacuated 125 Special Operations advisers from Yemen in March. Nonetheless, US officials haven’t evacuated 3000-4000 American civilians. Somehow, Washington has missed the idea that it must save not only military advisers. Instead, Russian planes evacuated more than 900 civilians, including Russians, Ukrainians, Americans and others. Thus, foreign civilians only have a chance to be saved with help from Russia. Regional conflicts have evoked different reactions within the international community. For instance, the secretary of the Russian Security Council Nikolai Patrushev has stated that a comparative analysis of the US and European reactions to the conflicts in Ukraine and Yemen is uncovering «double standards» in interpreting state coups. Further, the military campaign in Yemen has signaled a crisis inside international organizations. «The military interference had not been sanctioned by the United Nations Security Council but had started with consent from the United States,» Patrushev told Izvestia. As such, the US pushed for military action against the Houthi rebels, who fight against al-Qaeda and the Islamic State in the region. The war against terrorism is an important task for the White House only if it doesn’t hamper establishing US-backed regimes in other countries. The same problems were following Tuesday’s resolution of UN Security Council that envisages introducing sanctions against Houthi rebels in Yemen and banning arms supplies to them. The draft resolution, proposed by Jordan, US and UK, was supported by 14 member-countries. Russia abstained from voting. «The co-sponsors refused to include the requirements insisted upon by Russia addressed to all sides to the conflict to swiftly halt fire and to begin peace talks,» Russian UN Ambassador Vitaly Churkin explained the move after the vote. Furthermore, Russia argues that a military solution for Yemen is out of the question. Nevertheless, US-backed International Coalition prefer bombing, not talking.